If candidates are armed with a bachelor’s degree and a decent FTCE practice test and FTCE study guide, you should pass the Florida Teacher Certification Examinations easy, right? Read the research on teacher certification test prep: a meta-analysis done in 2018 showed that taking practice versions of tests can raise scores on standardized tests. Believe that FTCE practice can make perfect—or at least passing. Find the best FTCE practice tests. 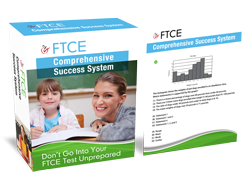 Use FTCE practice test questions leveraging the most effective and efficient methods. Your FTCE practice test must be current. Compare different ones. Remember that the FTCEs are meant to be revised. Has the FTCE practice material changed as the actual exam changed? Your FTCE practice test questions must contain information that’s on the actual exam (see the blueprint!). That way you can find your strengths so you can focus on your weak areas when you do use your time to study. If the FTCE questions in your review are not worded like the real test or are too simple, it could be a waste of your time and cause you to risk or delay your teaching career. The answer key must explain reasons a certain answer is correct and why each of the other answers are incorrect. If you can see patterns of words or phrases in your incorrect choices as well as your correct choices, you will improve your chances of passing the real test. What is the best use of your time using FTCE practice tests? Use many short FTCE practice sessions and take some time between them. Don’t cram for days. Doing this allows your long-term memory to store information. Taking one full-length FTCE practice test worked better than taking two or more full-length tests if the tests were taken in a short time frame. Again, extend the time between practice tests. One full-length FTCE practice test taken between 1 and 6 days before the exam had the most impact. So save one of the tests for this time period. Make sure you have more than one set of FTCE practice questions available. Then reward yourself after each FTCE test practice session with a break. Leveraging FTCE practice test questions to a passing score is the most efficient test prep method. The best FTCE practice tests will help your in reach your Florida teacher certification quicker and with less effort. You get to do what you love and earn a healthy, secure income to provide for yourself and family! Finding top notch Florida Teacher Certification Examinations practice exams isn’t without its share of hiccups. There are a lot of challenges that you need to deal with in your test preparation and in using practice tests for the FTCE is you want to pass the first time. Big problem on your testing date! Go to: FTCE Practice Exam — to see “FREE FTCE Test Prep Tips” now. If you can’t rise over these test preparation challenges, you’re likely going to fail the exam. This can prevent you from enjoying a healthy salary as a Florida certified teacher. More so, it can cause a great deal of stress, frustration and disappointment. The essay writing portion of the FTCE test is one of the biggest challenges you’ll face. For this reason, you need to focus on improving your writing skills through your FTCE practice. You can only improve your essay writing by using a proven essay writing formula. Then practice taking the FTCE using this method to attack essay sample questions. This test prep tip applies to all tests whether they have essay questions like the FTCE General Knowledge test or only multiple-choice questions like the Social Science, Professional Education, Elementary Education K-6 and Math 6-12. There are a lot of things you need to do to ensure you’re having an effective study session. Among these things, the most important is regularly using a FTCE practice test as a exercise to improve your familiarity to the examination as well as learning tool. This is most especially true when it comes to preparing for the test’s essay section. The Florida Department of Education makes sure all teacher candidates to demonstrate their ability to write and reason effectively. Be sure to develop “FTCE focused” essay writing skills no matter how good of a writer you are. Sadly, no matter how skilled in writing you may be, if you answer your essay questions in the incorrect style, you could lose critical points and fail. A common scenario is your nervous test taker full of adrenaline with less than a clear head. They will often go in the wrong direction or outside the scope of the expected answer and lose critical points. Even worse and also very typical is the teacher candidate who didn’t carefully read the question. Then provides an essay response that misses the target. Do NOT make the mistake of thinking the harder you work in the essay section and longer you write, the greater number of exam points. Your essay writing response will also be judged on how ‘directly-to-the-point’ you can communicate your ideas and stay on topic. Most test takers fall somewhere in the middle. They do not get the maximum points for most essays nor do they get zero points for each essay. The point is take advantage of the “low hanging fruit” in your test prep. Follow a simple template in writing your essay. If you do that and avoid these common pitfalls, you can gain enough points to push an otherwise failing score to passing-level. Before starting to write your essay, create an essay outline. Write the main keywords for the main idea of your essay on your scrap paper. Then make three lines branching out from this main keyword. Write three minor keywords, representing your arguments for the main idea of your essay. Train yourself to do this exercise in your FTCE exam practice questions. Once you have your essay outline, it’s time to write your essay. Start with a strong introduction. In your FTCE practice test questions, you can experiment on how you write the introduction of your essay. You can start writing about the main idea then expound on it. Or you can first briefly state the three arguments in your introduction then discuss them to support your main idea. The body of your essay should be all about the arguments or supporting points to your main idea. Ideally, you should be writing about 5 arguments at the beginning of your preparation. This will help you easily come up with supporting points. However, make sure you trim them down to three in your FTCE practice questions when the actual exam date draws near. Finally, you need to practice how to write a conclusion that effectively strings all the arguments you have to show its concrete support for your main idea. When prepping with sample and example questions practice restating your arguments in your conclusion. However, be brief and don’t expound on them any further. End your article by restating your main idea. A well written essay isn’t just all about the arguments you present. It’s also about how organized your essay is. Use the practice tips for the FTCE exam I taught you. They’ll help train you to write essays in an organized manner. This will effectively help you convey your ideas in a clearer way, thus giving you more points in the exam. Put your passion aside in favor of a stance that you have more information on. Let your test content knowledge determine the stance you’ll take on your essay, not your passion or enthusiasm. While this advice is not applicable to some FTCE Professional Education tests that do not have essay type questions, it is to other Florida teacher certification exams. While taking FTCE practice test questions, get in the habit of inserting as many facts, statistics and evidence you can provide in each essay. That’s what essay scorers are looking for. Be sure to support your main points. No matter what position you chose, you’ll have to demonstrate exactly why you support that position. Don’t make the mistake in your practice of assuming that the examiner will know what you’re talking about. Even if you’re writing your essay on basic knowledge that any schoolchild knows. No matter what example exams you’re using, get exercise and experience supporting all positions you take. Pack in as much evidence as possible in favor of your argument. Imagine in your head that the grader is constantly asking themselves, “why?” when they’re reading your essay. First try out these methods while doing mock test questions, so you develop the skills in maximizing your score in the essay section. You’ll need plenty of practice for your essay writing skills; however, don’t make the mistake of choosing low-quality example exams for your writing sessions. The more practice exams that are stuffed into your preparation manual, the better. Remember, even the best writers had to practice to develop their writing skills – and with plenty of practice and study, you’ll master even the toughest essay question on exam day.